The music band IRIAO creates unique music which is an outstanding mix between jazz and Georgian ethno folk music. IRIAO is Georgian ethno jazz band founded in Tbilisi, Georgia. Name IRIAO comes from the common phrase "Iriao-uruao" of the famous Georgian jodling singing style "Krimanchuli". Having a deep experience both in Georgian folk music and jazz, leader of the band David Malazonia is considered to be one of the first Georgian composers, who has combined these two genres in his compositions. For the last 30 years David has been successfully composing music for numerous theater pieces and films both in Georgia and Germany,as well as for the legendary Georgian band ADIO. In 2013 both the amount of excellent material and wish of the colleagues has reached the critical mass and David was literally pushed to create a band! IRIAO's distinct repertoire in overall is built on Georgian authentic folk ground, although its goal is not to modernize unique Georgian polyphony music (which has been broadly recognized by UNESCO as being a masterpiece of oral immaterial heritage) but to saturate and adorn it with jazz elements. This synthesis is well introduced by Mr. Malazonia thought his special experience and respect of this music, and performed by band with much care. "Initially, everything was connected with David Malazonia, who for many years lived in Germany, where he worked on the staging of performances. In general, when Malazonia writes music, it is always based on the Georgian folk instrumental music. In Germany, he often invited collaborators such as David Kavtaradze, an extraordinary instrumentalist who owns the game on all Georgian instruments. And soon in Germany, Malazonia founded the Adio group, which became very popular in the country. 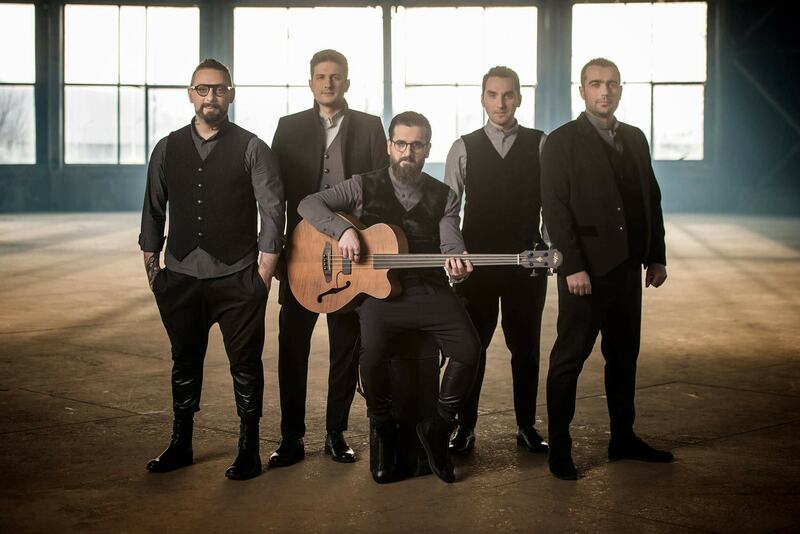 Adio disbanded in 1996 and the musicians began to return to Georgia. It was time to return to their homeland and for Dato Malazonia as well. And as soon as he returned, he had a desire to continue this direction in Georgia and so it happened that in the Ministry of Culture at the end of 2012 there was a project on the merging of ethno and jazz. At that time there was already a group "Shini", but there was a desire to have another team, and Dato Malazonia was invited to create it, and in a short time he began to search for musicians and compose the program"
IRIAO's debut performance took place in June 2013 in Tbilisi and received deserved recognition of the audience and mass media. IRIAO plans to actively promote its performance and conduct concerts around Georgia and abroad. Over the years Iriao has been invited in a number of important musical festivals around the globe. The band has performed at the Java Jazz Festival in Indonesia, Borneo Jazz Festival in Malaysia, Alfa Jazz Festival in Ukraine and other festivals in Austria, Poland and Baltics. "We will not surprise the world with jazz, but we will surprise the world with the Georgian polyphony that we associated with jazz. Unlike other bands, we do not take folk songs and do not remix them. Iriao does not use this method. Everything is based on improvisation. The main repertoire are the versions of the well-known songs and Dato Malazonia's own compositions - which are very difficult to perform. There is a special rhythm. 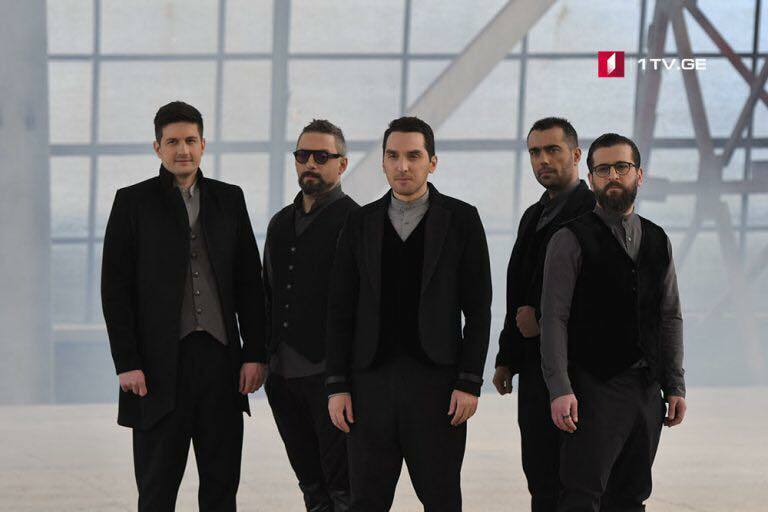 Malazonia uses difficult, very elegant and brought to the last ideal point melodies"
On New Year's Night Georgian broadcaster GPB has announced that band IRIAO will represent Georgia at the Eurovision Song Contest 2018. Mikheil Javakhishvili - Vocal & Misc. George Abashidze - Vocal & Misc. Journalist Demetre Ergemlidze will host the live transmission of 2018 Eurovision Song Contest (ESC) on First Channel. Tamara Gachechiladze, Georgian contender of 2017 ESC, will announce the points of the jury on part of Georgia. Ergemlidze has been the host of ESC and Junior Eurovision for several years. He is the host of "Farm" Program of First Channel and several programs on First Radio. Ergemlidze actively cooperates with Eurovision Producing Team, at the same time. #Georgia For You – Campaign in support of Georgia at Eurovision begins. 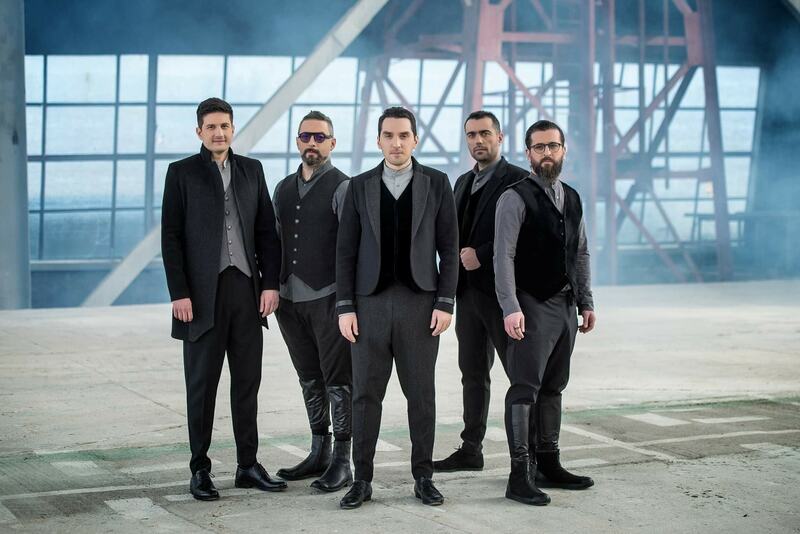 Well-known persons unite in support of Georgian contenders "Iriao" Band at 2018 Eurovision Song Contest (ESC). 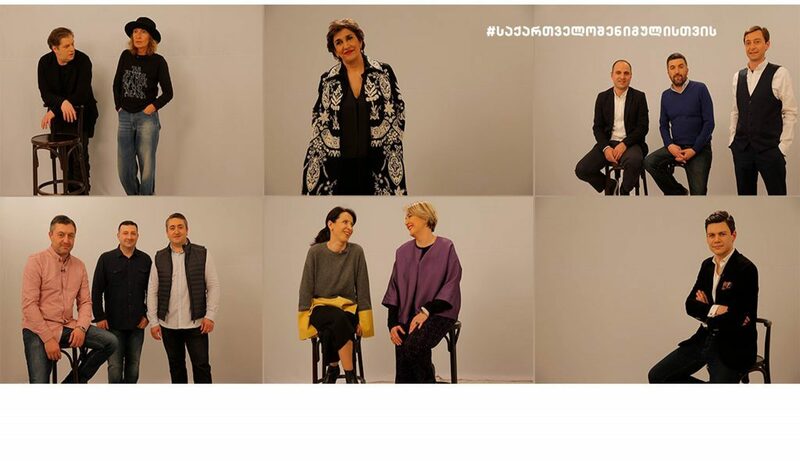 Director Basa Potskhishvili shot popular faces in First Channel studio and took part in the campaign together with her colleague Davit Doiashvili. 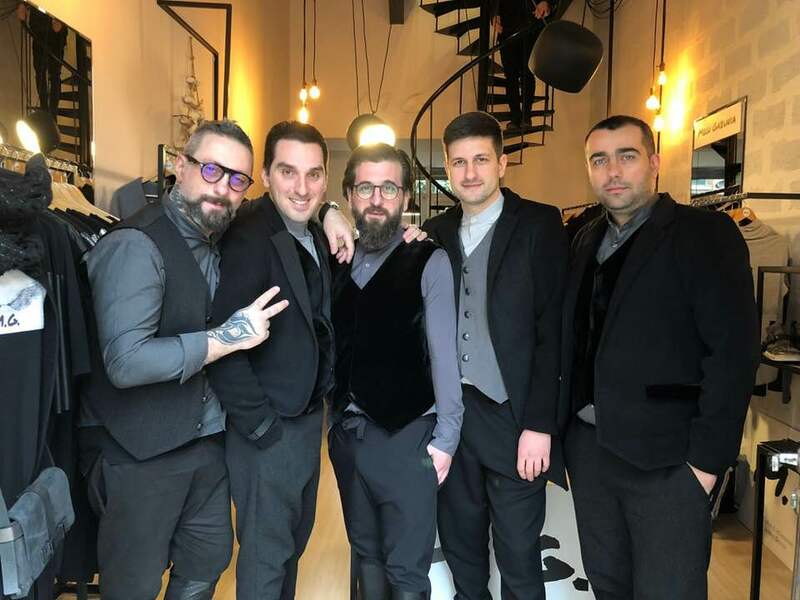 Videos will circulate on facebook page of First Channel where singer Eka Mamaladze, "Shdivkatsa," members of "Georgian Voices," Zaza Majanishvili, Misha Mdinaradze, Nato Metonidze, Liza Bagrationi, Datuna Aladashvili and Zviad Bolkvadze will express support to "Iriao" Group. 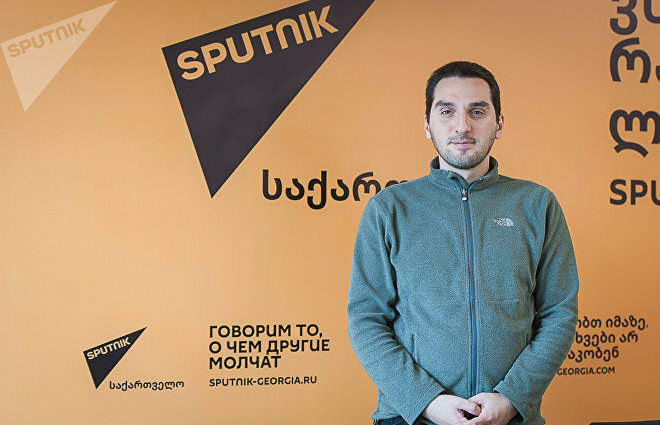 They will call on Georgian emigrants for becoming actively involved in the campaign and vote for Georgia on May 10. Any interested person can shoot the video and upload it on facebook page – share love and support to Georgia. 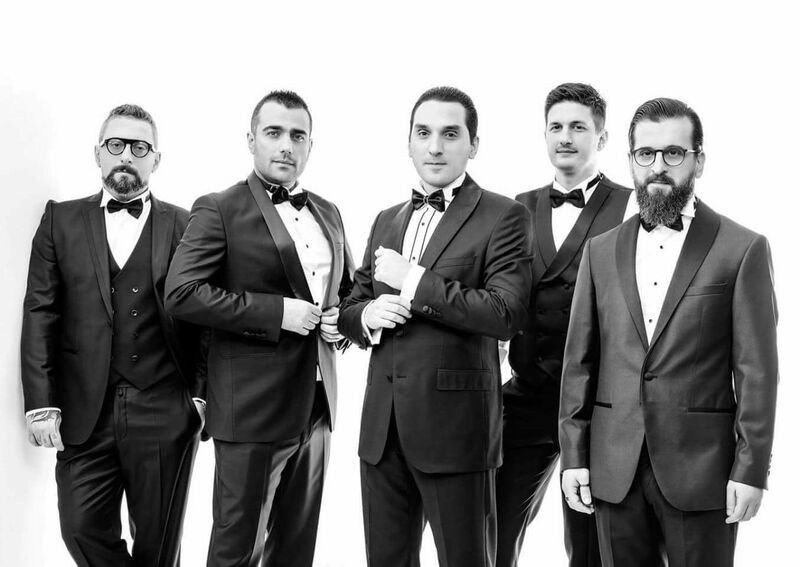 Official photoshoot of the Georgian IRIAO band took place. Photos that will be used on all promotional Eurovision products have been produced by Giorgi Tsaava. The Eurovision Song Contest song will be recorded today in Georgia by IRIAO band. Live Orchestra is participating in the song recording, conductor Mirian Khukhunaishvili. 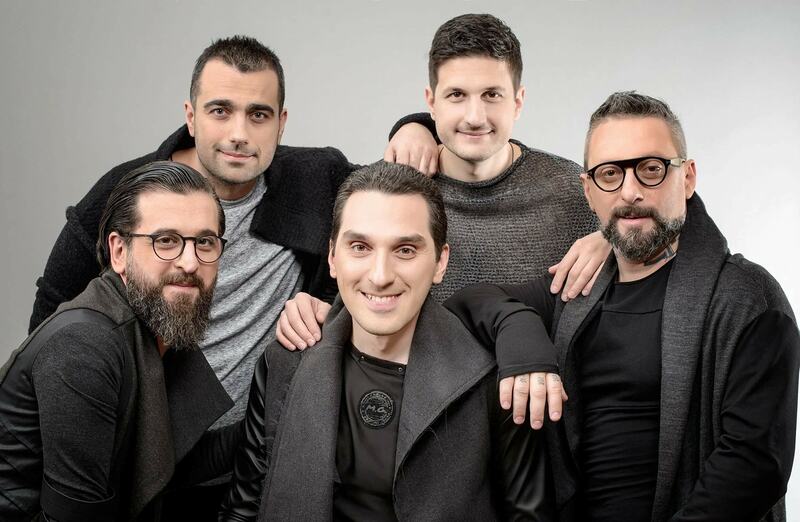 Georgian Eurovision 2018 entry will be called "Sheni gulistvis" (For You), it is composed by Davit Malazonia, music director of IRIAO, arranged by Mikheil Mdinaradze, and the lyrics are writen by Irina Sanikidze. Band IRIAO has travelled to Lisbon to film their Eurovision Song Contest postcard. Every year the Chinese community in Lisbon celebrates the Chinese New Year, an event that reflects the multiculturality of the city and usually includes various parades, shows and demonstrations of Chinese cultural traditions. To celebrate the anniversary, the square of Martim Moniz received several tents with typical Chinese products and demonstrations of handicrafts. For the filming of their postcard, the singers of the Iriao group were received in the center of this iconic site of the capital by two Chinese ladies, who took them in a unique experience by the festival: they experimented with new foods, danced with the dragons and celebrated among the revelers, with lots of music to mix. "It was the first time we visited Lisbon and we loved the city! We really enjoyed participating in this Chinese New Year celebration and we felt lucky to have been part of this party, " the band members shared at the end of the day with RTP. "The song is being created by Dato Malazonia. It will be melodic, easy and understandable. At the Eurovision viewers usually pay much attention to some special effects, shows, performances. Often everything is decided by the elements of the show, rather than the vocal performance. If you have noticed in this show there often are uniquely designed screens, even on the floor and the back of the stage, and everything is done as much as possible so that a miracle is created during the song presentation. But remember what happened last year, when Salvador Sobral won. There were no special effects or shows, but there was just a music. And after the victory, Sobral said that for him music is not fireworks, it is feelings, and this feelings have won. So, the stage and elements of the show are not the main thing now. Portugal itself calls for music to be the main element. So that the contestants present their way of thinking, and not a mathematically folded and winning-oriented entry. In my opinion, you must showcase what is really yours. So, now several versions of our entry are being created. A few days ago we have listened to them all. We have stopped our attention on several best of them. And we think that we are on the right track. In no time at all, the public broadcaster and Iriao group will determine with what entry we will represent the country at the Eurovision Song Contest. There will not be an open song selection this year. We think that our song will be a melodic, simple, memorable composition. Because the songs for "Eurovision" should be perceived exactly there, at the contest, which is here and now. Often after the "Eurovision" they no longer sound anywhere. But in my case, for example, I'm still listening to the song of Salvador Sobral. And this is against the background that even Portugal itself was not particularly interested in winning the contest"
"Our request and the request of the Public Broadcaster of Georgia was to sing in Georgian, but maybe there will be some phrase in English that will help everyone understand the meaning. Naturally, in most cases music does not require language. But we also consider that a large audience of listeners, like Eurovision, is worthy to be addressed in an international language". "Our program at least for the moment is to quickly select the final version of the song and work on its arrangement, after which the TV broadcaster will start working on the necessary staging, because in February we must go to Portugal to shoot the postcard. In some previous years, organizers were sending TV crews to the participating countries, and this year it was decided that all of the participants will be financed to travel to Portugal, where the postcards will be filmed. Therefore the main thing now is to choose a song and start working on it. I want to say that Europe is looking forward to Iriao"
"I have been watching the Eurovision Song Contest since 2007, when the Georgian Public Broadcaster became a member of the European Broadcasting Company and the country joined the Eurovision Song Contest. If I am not mistaken, Sopho Khalvashi was the first to perform at the Eurovision Song Contest. As it is known there is an opinion that this is a political competition, that there is low-level music, but I personally do not think so. There can be political decisions, but I still think that music is the main thing, and no money, no calls from the presidents to anyone and no political circumstances in the end can ever decide the fate of the music. Yes, of course, this is a contest, and we know how everything in contests is being decided, and, unfortunately, how it all happens in Georgia. But I still think that contests and festivals of "Eurovision" type always create a certain style, helping us understand what the listeners are interested in. In addition, the "Eurovision" has a huge audience". "The decision that we will go to the Eurovision Song Contest was unexpected for us. By the way, many are asking why is Iriao going to the Eurovision and why there was no open contest? The thing is that the Public Broadcaster has the right or hold a qualifying contest and identify the winner as a result of voting of the audience and the jury, or to choose the performer internally - and this time the Public Broadcaster itself decided on the candidate for the "Eurovision". So, for us it is, of course, joyful, but at the same time it's big responsibility". Группа IRIAO создает уникальную музыку - смесь между джазовой и грузинской этнической фольклорной музыкой. IRIAO - грузинская этно-джазовая группа, основанная в Тбилиси, Грузия. Название IRIAO происходит от фразы "Ириао-уруао" знаменитого грузинского стиля пения йодлем "Криманчули". Обладая глубоким опытом как в грузинской народной музыке, так и в джазе, лидер группы Давид Малазония считается одним из первых грузинских композиторов, объединивших эти два жанра в своих композициях. В течение последних 30 лет Давид успешно сочиняет музыку для многочисленных театральных постановок и кинофильмов как в Грузии, так и в Германии, а также работая с легендарной грузинской группой ADIO. В 2013 году количество отличных накопленных материалов и пожеланий коллег достигло критической массы, и Давида буквально толкнули на создание группы! Яркий репертуар IRIAO в целом построен на грузинской аутентичной народной музыке, хотя его цель - не модернизировать уникальную грузинскую полифонию (которая была широко признана ЮНЕСКО как шедевр устного нематериального наследия), но насытить и украсить ее джазовыми элементами. Этот синтез хорошо представлен Малазония посредством его особого опыта и уважение к этой музыке и исполнен группой с большой аккуратностью. "Изначально все было связано с Давидом Малазония, который на протяжении многих лет жил в Германии, где работал над оформлением спектаклей. Вообще, когда Малазония пишет музыку, не бывает случаев, чтобы он не взял что-то из грузинской народной инструментальной музыки. В Германии он часто приглашал к сотрудничеству таких музыкантов, как Давид Кавтарадзе — необыкновенного инструменталиста, который владеет игрой на всех грузинских инструментах. Вскоре в Германии Малазония основал группу "Адио", которая стала очень популярной в стране. Но в 1996 году "Адио" распалась, и музыканты стали возвращаться в Грузию. Настало время вернуться на родину и для Дато Малазония. И как только он вернулся, у него появилось желание продолжить это направление в Грузии. И так произошло, что у министерства культуры в конце 2012 года появился проект по слиянию этно и джаза. В это время уже существовала группа "Шини", но было желание, чтобы появился еще один коллектив. Для его создания и пригласили Дато Малазония, который в короткие сроки приступил к поиску музыкантов и составлению программы"
Дебютное выступление IRIAO состоялось в июне 2013 года в Тбилиси и получило заслуженное признание аудитории и средств массовой информации. IRIAO планируют активно продвигать свои выступления и проводить концерты в Грузии и за рубежом. За эти годы IRIAO принимали участие в ряде крупнейших фестивалей по всему миру. Групп выступала на Java Jazz Festival в Индонезии, Borneo Jazz Festival в Малайзии, Alfa Jazz Festival в Украине, и других фестивалях Австрии, Польши и Балтии. "Джазом мир мы не удивим, но мы удивим мир грузинским многоголосием, которое мы связали с джазом. Мы, в отличие от других групп, не берем народные песни и не делаем их ремиксы. Iriao не использует такой метод. Наше творчество полностью основано на импровизации. Основной репертуар – это оригинальные версии известных песен и собственные композиции Дато Малазония - очень сложные для исполнения. Это особой ритм. Малазония использует трудные, очень изящные и доведенные до последней идеальной точки мелодии"
В новогоднюю ночь грузинская телекомпания GPB заявила, что группа IRIAO представит Грузию на конкурсе Евровидение 2018. Михеил Джавахишвили - Вокал и пр. Георгий Абашидзе - Вокал и пр. Бидзина Мургулия - Вокал и пр. Прямой эфир конкурса песни "Евровидение 2018" на Первом канале будет вести журналист Деметре Эргемлидзе, а баллы от Грузии объявит Тамара Гачечиладзе. Деметре Эгремлидзе ведет трансляции детского и взрослого Евровидения уже несколько лет. Он является ведущим передачи Первого канала "Ферма" и программы на Первом канале радио. Параллельно, активно сотрудничает с продюсерской командой Евровидения. Прошла официальная фотосессия предствителей Грузии Iriao. Фото, которые будут размещены на всей конкурсной промо-продукции, создал Гиорги Цаава. Запись конкурсной песни для Евровидения сегодня пройдет в Грузии. В ней примет участие живой оркестр под управлением Мириана Хухунаишвили. Песня Грузии на Евровидении 2018 будет носить название "Sheni gulistvis" (Для тебя) - автор музыки Давит Малазония, художественный руководитель группы IRIAO, аранжировщик - Михеил Мдинарадзе, автор текста - Ирина Саникидзе. Представители Грузии, группа IRIAO также побывали в Лиссабоне для съемок своей открытки. Каждый год китайская община в Лиссабоне празднует китайский Новый год, событие, которое отражает многокультурность города и обычно включает в себя различные парады, шоу и демонстрации китайских культурных традиций. Чтобы отпраздновать юбилей, на площади Мартина Мониша было установлено несколько палаток с типичными китайскими продуктами и демонстрацией ремесел. Для съемок открыток солисты группы Ириао были встречены в центре этого знакового места столицы двумя китайскими дамами, которые провели их через уникальный опыт фестиваля: они экспериментировали с новыми продуктами, танцевали с драконами и праздновали среди гуляющих, с большим количеством разнообразной музыки. "Мы впервые посетили Лиссабон, и нам понравился город! Нам очень понравилось участвовать в этом праздновании китайского Нового года, и нам посчастливилось участвовать в этой вечеринке", - сказали участники группы. Вокалист этно-джаз группы Iriao, которая представит Грузию на Евровидении 2018, Михаил (Мишо) Джавахишвили в интервью Спутник-Грузия рассказал некоторую информацию о подготовке к конкурсу. "Песню создает Дато Малазония. Она будет мелодичной, легкой и понятной. На "Евровидении" обычно большое внимание уделяется спецэффектам, шоу, представлению. Часто все решают элементы шоу, а не вокальные данные исполнителя. Если вы замечали в этом шоу часто присутствует уникально оформленный экран, даже пол и задняя часть сцены. И все максимально делается для того, чтобы произошло чудо во время песни. Но вспомним, что произошло в прошлом году, когда победил Сальвадор Собрал. Не было никаких спецэффектов или шоу, а была просто музыка. И после победы Собрал сказал, что для него музыка – это не фейерверк, это чувство, и это чувство победило. Так что, оформленная сцена и элементы шоу сейчас не главное. Сама Португалия призывает, чтобы главной была музыка. Чтобы конкурсанты представили свое мышление, а не математически сложенное и ориентированное на победу произведение. По моему мнению, ты должен показать то, что является твоим. Так что, сейчас создается несколько версий подобных песен. Несколько дней назад мы их отслушали. Мы остановили свое внимание на нескольких из них. И думаем, что идем по правильному пути. Уже в совсем короткие сроки Общественный вещатель и группа Iriao определятся, с чем мы представим страну на "Евровидении". Открытого конкурса в этом году не будет. Мы думаем, что это будет мелодичная, простая, запоминающаяся композиция. Потому что песни для "Евровидения" должны быть восприняты именно там, на конкурсе, то есть здесь и сейчас. Часто после "Евровидения" они больше нигде не звучат. Но в моем случае, например, я до сих слушаю песню Сальвадора Собрала. И это на том фоне, что даже сама Португалия тогда не была особо заинтересована в победе". "Наша просьба и просьба Общественного вещателя Грузии была петь на грузинском языке. Но, возможно, в ней будет какая-то фраза на английском, которая сделает понятным все и для всех. Естественно, что в большинстве случаев музыка не требует языка. Но мы все равно считаем, что настолько большая аудитория слушателей, как у "Евровидения", достойна, чтобы к ней обратились на международном языке"
"Наша программа минимум на данный момент – это в короткие сроки выбрать версию песни и сделать ее аранжировку. После чего телевидение начнет работать над нужным оформлением. Потому что уже в феврале мы должны отправиться в Португалию для съемок роликов конкурсантов. Ранее организаторы сами приезжали в страны-конкурсанты, а в этом году решено, что при финансировании "Евровидения" все едут в Португалию, где будут записаны заставочные видеоролики. Поэтому главное сейчас выбрать песню и начать над ней работать. Хочу сказать, что Европа с большим нетерпением ждет Iriao"
"Я наблюдаю за конкурсом Евровидение с 2007 года, когда Общественный вещатель Грузии стал членом Европейского вещателя и страна присоединилась к "Евровидению". Если я не ошибаюсь, первой на "Евровидении" от Грузии выступала София Халваши. Как известно, бытует мнение, что это политический конкурс, что там звучит музыка низкого уровня. Но лично я так не думаю. Правда, политические решения имеют место быть. Но я все равно считаю, что музыка – это нечто такое, что никакие деньги, никакие звонки президентов кому-либо и никакие политические обстоятельства в итоге никогда не решат судьбу музыки. Да, конечно, это конкурс, и мы знаем, как все в конкурсах бывает и решается, и, к сожалению, как все это происходит в Грузии. Но я все же думаю, что конкурсы и фестивали типа "Евровидения" всегда создают какой-то стиль, дают нам понять, что интересует слушателей. К тому же у "Евровидения" огромная зрительская аудитория"
"Решение, что мы поедем на Евровидение было неожиданным для нас. Кстати, многие нас спрашивают – почему именно Iriao едет на "Евровидение"? И почему не было конкурса? Дело в том, что у Общественного вещателя есть право или провести внутри отборочный конкурс и выявить победителя в результате голосования среди зрителей и жюри, или самим выбрать исполнителя или музыкальный коллектив. В этом случае Общественный вещатель сам представил кандидата для "Евровидения". Так что, для нас это все, конечно, радостно, но в то же время это большая ответственность". შენი მხოლოდ ის არის , რასაც სხვისთვის თმობ. თუ შენს გვერდით ვარ მე. ქვეყნად სიკეთე იყო, არის და იქნება. Sheni mkholod is aris , rasats skhvistvis tmob. Tu shens gverdit var me. Kveq'nad sik'ete iq'o, aris da ikneba.